Jugendstil - Art Nouveau Lantern / Shade c1900. 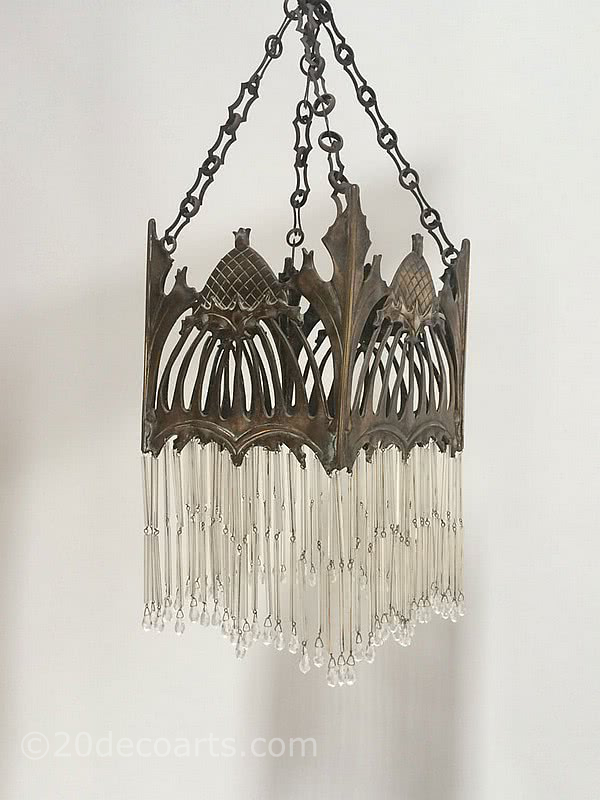 The lantern cast in bronze with hanging glass drop fringe, its original chain and a ceiling rose. 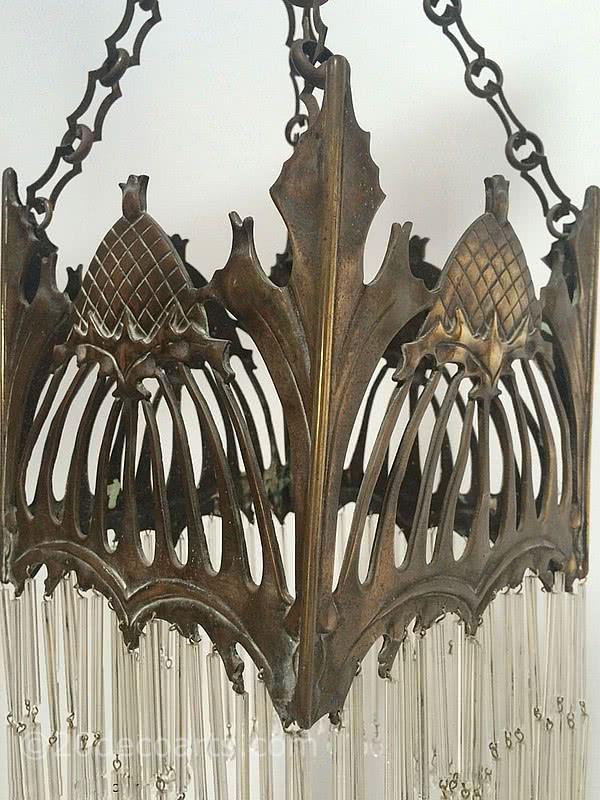 A stunning piece of European Art Nouveau / Jugendstil design, although not signed it has echoes of the designs of Hector Guimard also of the organic forms of August Endell, Herman Obrist and Friedrich Adler.